You are going to Watch Super Friends Episode 8 online free episodes with HQ / high quality. Stream cartoons Super Friends Episode 8 Online The Androids. After a rocket came plunging back to Earth and crashed, Colonel Wilcox informs the Super Friends that the astronauts are missing. 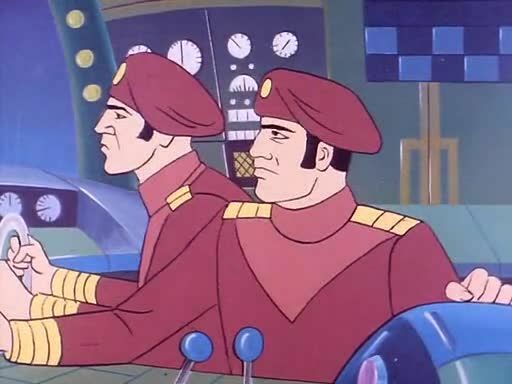 When Colonel Wilcox and the Super Friends investigated the scene they found a tape recording from a man named Dr. Rebos that said all further space exploration must cease including the top secret Venus probe mission. Conveniently, Clark Kent has been given a television assignment on the Venus space probe in which he attends with Wendy and Marvin. Wonder Dog forgot has pass and stays outside where he’s confronted by a man who wants to take his picture. The man is actually Dr. Rebos who is talking picture so he can make an android double of Wonder Dog to infiltrate the space station and destroy the mission. Colonel Wilcox called Wonder Dog a traitor for his sabotage causing Wendy and Marvin to walk out in disgust. The teens figure it could not have been Wonder Dog after recalling the events of the day and decide to do same investigating. Meanwhile, the Super Friends guard the space center unbeknownst to them that Dr. Rebos is watching them to make an android Superman. The Super Friends encounter more confusion when Dr. Rebos makes a robot of Superman, and orders him to destroy the Mars space station. While the real Superman fights his android double, it’s up to the rest of the Super Friends pull the plug on Dr. Rebos and his androids.